All about the Anime USA conventions. We are returning next year to the Marriott Wardman Park, for the first time ever in December! Anime USA 2017: The Christmas Special will take place December 8-10, 2017. From now until January 21 you can receive 45% off our regular priced membership by using code Wint1617. This brings the price down from $66 to $36.30! Don’t miss out on this amazing deal for a weekend of wintery, anime fun. Anime USA would like to introduce the Founder of TOKYOPOP, Stu Levy! 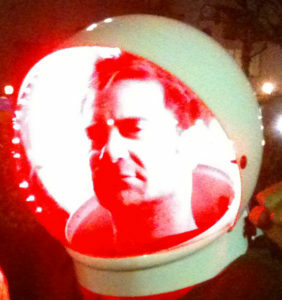 Stu Levy is an international entrepreneur, producer, director and writer across mediums including graphic novels, film, television and new media. Founder of the pioneering media company TOKYOPOP, Stu is known for establishing the manga market in North America. We now have Guidebook! Make sure to download the app and search for Anime USA 2016 to keep up with events and schedule changes. For everyone not local to the Washington, DC area and are using the metro, the Safetrack metro now closes at 12:00am midnight! Make sure to plan accordingly! Please make sure you’ve gone over the Autograph Policy and the Weapons Policy for the convention. We only have a limited number of printed programs available this year. If you would like an extra one, they will be available at registration for $5. But our printed Pocket Guides will be plentiful so feel free to grab one when needed! If you have any questions, come on by the Information Booth and we’ll get you going in the right direction! Trying to find that special something for a special someone? Want a souvenir to remember this year’s convention? Need that one DVD to complete your collection or that final manga volume? Well do we have a place for you! Come by the Anime USA Marketplace, where we will have anime, manga, DVDs, figurines, and all sorts of awesome things for sale! Check out our Dealer’s Page for a list of this year’s marketplace vendors. It’s that time of year again! Thank you so much for your patience while we work hard behind-the-scenes to put on the best show yet! This year’s programming schedule features autograph sessions with your favorite guests, cosplay masquerade, dances, educational workshops, and more! Each year, we host a themed formal ball at Anime USA! For 2016, Anime USA is excited to announce our theme: East Meets West.. an intriguing blend between the Meiji era and steampunk fashion! Wear your finest kimonos or most intricate steampunk outfit, but don’t forget your dancing shoes as you’ll cha-cha, waltz, and swing your way through the night! Check out more information about our formal ball here. Anime USA is excited to partner with the DC Arts & Humanities Education Collaborative, an organization dedicated to providing access to arts and humanities education and cultural experiences for DC school children with this year’s charity auction. The Collaborative shares Anime USA’s strong belief that the arts can have a tremendous positive impact on people’s–and particularly children’s–lives. We look forward to raising money so they can continue their valuable work! Please come visit our charity auction Sunday at 1 pm in Panel 1 to contribute towards their efforts and take home some unique souvenirs of Anime USA 2016. Are you interested in covering Anime USA? If you run a blog, podcast, or news site, you may be eligible for a complimentary Press Pass for the 2016 convention. Check out the Press page to learn more and apply today. The Anime USA Volunteer Sign-Up form is live! Have you ever been curious about staffing Anime USA? Sign up for our Volunteers Department! It is an excellent opportunity to see different departments, meet our staff, and get a good idea what it’s like working behind the scenes at our event. We are always looking for dedicated, hardworking, and energetic people to join our ranks and help us keep Anime USA fun for all. We offer a full badge reimbursement after 15 hours, and crash space to those who work 20 hours or more*. *Crash space is limited and on a first-come, first-served basis. Please join Anime USA in Welcoming Our Headlining Musical Guest: Rides In ReVellion! 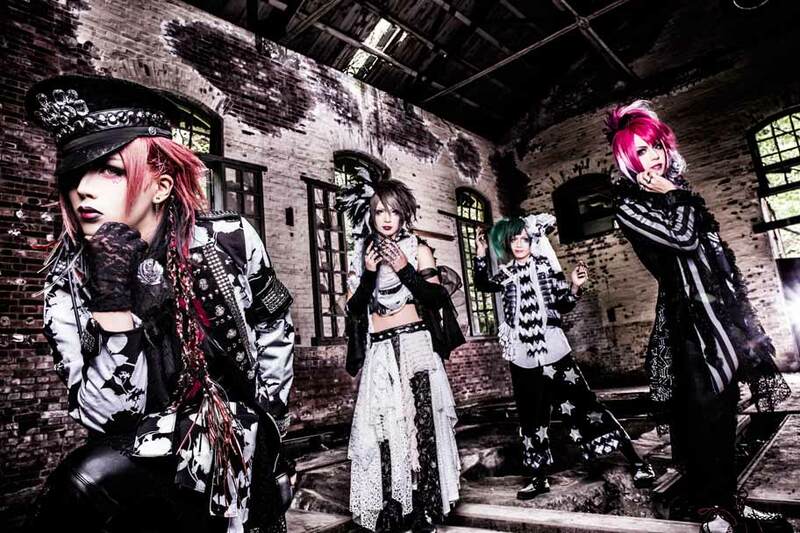 Rides In ReVellion is a visual rock band from Osaka, Japan. Their music combines dramatic melodies reminiscent of classic visual kei artists with modern digital sound to create their unique “harmonized time paradox” that appeals to the hearts of all generations. They have played stages, both big and small, across their home country, and they are very excited to be making their overseas debut at Anime USA! Since their inception, Rides In ReVellion has worked hard to ensure that their music is accessible to fans all around the world. Please join enchanting vocalist KuRo, elegant guitarist TaJI, charming bassist Nagisa, and bubbly drummer Ame for an unforgettable performance and other fun events this October. Want a previous of what you’ll get to see? Check out this video for a teaser!